Summer season, with its scents and colours, is knocking at our door. Milan is known as a grey and busy metropolitan city but, it offers a lot of green spaces where to stop for a little while, having fun with family or friends. Are you going to come to the city and do you like spending time in the outdoors? 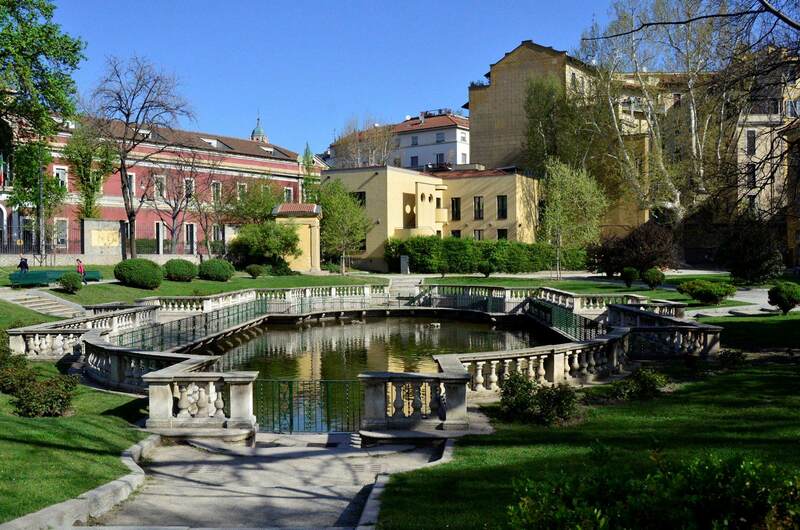 Today we’ll go at the discovery of some of the most beautiful parks in Milan! Located near our Porta Venezia Apartment, they are easy to reach by means of transport. The park, dedicated to Indro Montanelli who used to spend time here, has a botanic route, three playgrounds and another area with amusement rides and a small train carousel. The perfect place for children but also for students and sporty people! But it’s not just fun: in the park, you can find the Civic Planetarium “Ulrico Hoepli”, the Civic Museum of natural history, Palazzo Dugnani, built in the 17th century, and several other monuments. 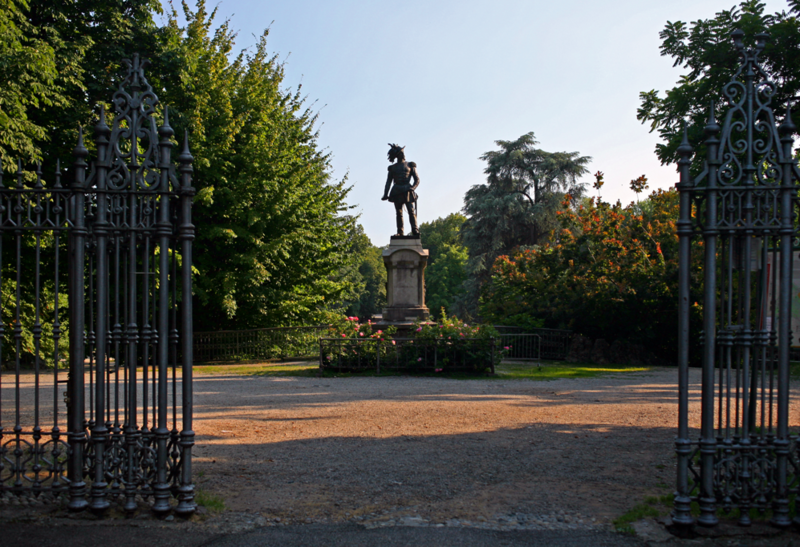 One of the most famous parks in Milan for sure and located near our Moscova apartment, Garibaldi apartment and Garibaldi suites, Sempione Park has a romantic English style, a small fenced-in lake and a lot of spaces for adults and children. The Ponte delle Sirenette is just one of the historic points the park has on the inside: in 1954 the civic library was rewarded for its peculiar architecture. A very suggestive place for studying, isn’t it? It represents not only one of the most beautiful green areas in the city, but also a crucial and strategic location: near to Sempione Park there are the Castello Sforzesco, the Arco della Pace and the Triennale di Milano. We would like to suggest you two events that are going to take place in the park in June: on 8th June there will be a happy hour with Ibizound and Heineken, while on 18th June the FAI nights are coming back with special visits and music played by the Brassband, from the G. Verdi Conservatory. For more information about registration and price, look here. In addition to being a wonderful English green area, the Garden of Villa Belgiojoso has its own peculiarity: it’s the first park dedicated exclusively to children, where they accompany adults! The park holds another record: it’s been the first romantic-style garden in the city! 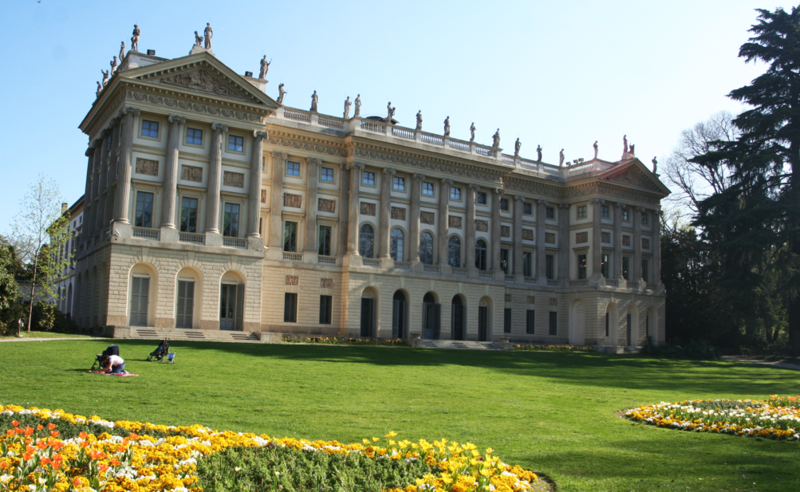 For those who love historical facts, we’d like to remind that Villa Belgiojoso, known also as Villa Reale, was the Milan residence of Napoleone and other Italy sovereigns. With about 20.000 square metres of botanic garden and rare species of plants, it offers a very rich itinerary. An ideal place for taking your mind off, but also for doing some sport surrounded by a beautiful natural frame: we couldn’t help mention it among the most beautiful parks in Milan! One of the smallest and oldest parks in the city: it takes its name from the Countess Ludovica Torelli della Guastalla, who commissioned it in 1555. A long history that reflects itself in several places of interest: the Baroque fishery that replaces the original small lake, a 17th century aedicule and a small neo-classical temple. The Gardens of Guastalla are a green space where it’s possible to go jogging, ride a bike along defined pathways or just read a book and relax. The botanic route has been set up since 2005: you can’t miss it! Nothing to add: the gardens are a little jewel embedded in the streets of Milan, near our Valpetrosa Apartment. Stopping here, after a day full of commitments, or just for enjoying some quiet moments, will be a very strong temptation! Known as Trenno Park but now named after Aldo Aniasi, it’s located near San Siro and is one of the biggest parks in the city, with large lawns and tree-lined boulevards. Thanks to its long pedestrian and cycle paths and to the areas where it’s possible to do sports like football and basketball, the Trenno Park is a perfect place for sporty people who love to stay outdoors, but also for day trips with family and children! For those who are interested in cultural and historic subjects, we’d like to suggest the rural complexes and the War Cemetery, which is dedicated to the Anglo-American fallen people. 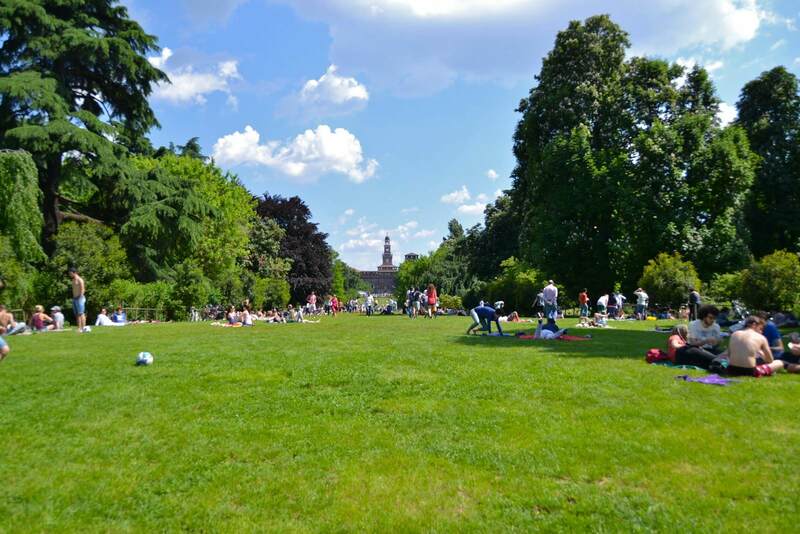 The Trenno Park, with its large green lawns, is for sure one of the most beautiful parks in Milan and really seems able to make everyone happy! In such a big and busy city, it is essential to find quiet moments, freeze time and take big breaths. The parks in Milan offer plenty of possibilities to be close to nature: you should take advantage of them during your stay in our Brera Apartments!